Heating with alternative fuels is very popular. Some clients want ambiance. Some clients want extra heat. Some want both. 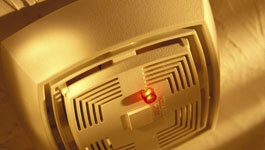 There is something special about hearth appliances that means security and independance. Whether you are looking for zone heating or just the pretty, warm flames that make an evening special, Swift is ready to provide the services you need. We offer consulting for the client who is just beginning to explore alternative heating. We service most amkes and models of combustion appliances. When troubles crop up we are ready to perform diagnostics and repairs. As Master Hearth Professionals certified by the National Fireplace Institute (NFI) we have the training and experience to take care of your appliance and meet your needs. There are a wide variety of wood burning stove out there and we service them all. Wood stoves come in several categories. First there are free standing stoves and there are inserts intended for use in masonry fireplaces. Next there are stoves with catalytic combustors and those that do not. Of those that do not there are antiques that have minimal combustion technology and there are modern EPA certified stoves. The antiques are little more than metal boxes where you put fire. The non-catalytic, EPA certified stoves have baffles and ducting for secondary combustion air. The approach to each category of stove is basically the same, but each type requires its own special attention. The stove is connected from the flue collar to a liner that goes all the way to the top of the chimney. We need only remove baffles or open by-pass dampers to have access to the flue. Free standing stoves are all technically positive connect, but some antiques do not have removable baffles. This is the least costly of wood stove servicing. This installation has a liner that is connected to the flue collar but only goes to the existing flue. In order to service this type of connection the stove must be fully un-installed, swept, and then re-installed. Sometimes there are additional material costs. This type of installation, while allowed by code, has certain deficiencies that negatively impact to function of the stove. Without fully un-installing the stove, the creosote is left in the system leaving the stove more dangerous than if it had not been swept. This is our most expensive wood stove service. At the time of service we will be happy to provide an estimate for installing the stove as a positive connect appliance. This type of installation is no longer allowed by code. It involves uninstalling the stove, sweeping, and re-installing the stove. This type of installation is slowly becoming a thing of the past. It was never a good idea. This kind of installation is predominantly done with antique stoves. We call these "Slammers" since that is about all that is done to install them. As clients update their appliances, this installation gets updated also. 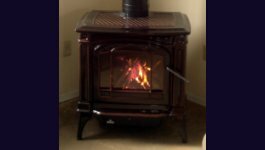 At the time of your service we will be happy to provide an estimate for a new EPA Certified wood stove and a positive connect installation. The servicing cost for this type of installation is moderate. Pellet stoves are finely tuned combustion appliances. Whether free standing or inserted into a fireplace these appliances require particular care. In addition to your daily and weekly self service your stove needs to have an annual servicing. Many manufacturers recommend that this level of service be done after each tone of pellets burned. Annual servicing includes cleaning the exhaust passages inside the stove as well as the vent. Motors are checked at this time. We finish with a burn test where we will adjust the damper or feed rate. Please have your manual at hand when your appliance is to be serviced. Repairs may require multiple visits. Pellet stove servicing has variable time requirements. There is an initial fee for the first half hour and additional costs for time beyond that. We service all the major brands and models. Servicing these appliances is often as simple as routine maintenance. Routine visits include checking for correct installation. Sometimes it becomes very involved. During routine maintenance we will clean dust from accessible areas, check the main burner, pilot, and thermocouple for function. Like Gas Fireplaces (below) these may require extended service.Please have your manual at hand when your appliance is to be serviced. Gas fireplace servicing has variable time requirements. There is an initial fee for the first half hour and additional costs for time beyond that. These are self-contained appliances that burn gas. They should not be confused with gas logs simply placed in a fireplace. We service all the major brands and models. Servicing these appliances is often as simple as routine maintenance. Routine visits include checking for correct installation. Sometimes it becomes very involved. During routine maintenance we will clean dust from accessible areas, check the main burner, pilot, and thermocouple for function. Extended maintenance might require cleaning the main burner. Repairs may require multiple visits. Please have your manual at hand when your appliance is to be serviced. Gas fireplace servicing has variable time requirements. There is an initial fee for the first half hour and additional costs for time beyond that. These consist of a valve, safety pilot assemble, and a main burner. The logs, or other media, are positioned critically for the function of the log set. Servicing for gas log sets is much the same as if the fireplace were burning wood. 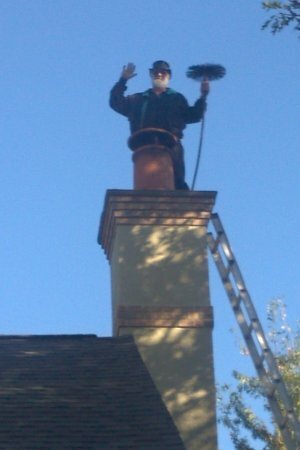 A Level I (one) inspection is performed and the chimney is swept. Like gas fireplaces, we also check the main burner for flame quality and the function of the thermocouple. Gas log servicing has variable time requirements. 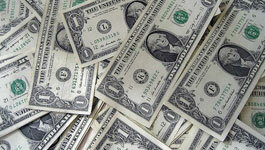 There is an initial fee for the first half hour and additional costs for time beyond that. Whether you desire wood burning, pellet burning, or gas burning, Swift Services is ready and able to provide you with everything from initial planning, through appliance selection, to final installation. We are a direct dealer for Napoleon and Osburn. We also sell Monessen, Vermont Castings, Majestic and Lennox brands. But wait! We are not limited those brands. If you prefer a different manufacturer, we are happy to help with selection through installation for those as well. The word insert has a particular meaning in the hearth industry. Many folks think that an appliance built into a wall is an insert. Some think that gas logs are an insert because they a put in a fireplace. An insert is a self-contained appliance that is placed inside an existing fireplace and depends on that fireplace’s clearance to combustibles. Why the special note? Aside from avoiding confusion, it is important to recognize that there are few, if any, factory built fireplaces that can have inserts installed in them. For this to be possible both the fireplace and the insert must be specifically listed for use with each other. This is seldom the case, even for those appliances that are made by the same manufacturer! Having made this distinction, there are some appliances that are made with close clearance to combustibles that will fit in the space of the factory built fireplace. These, however, still are not inserts.